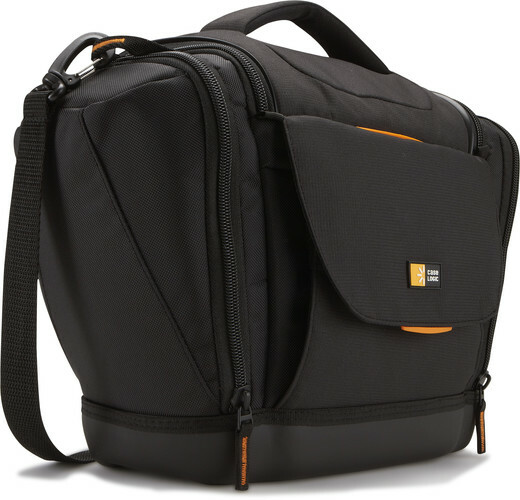 This tough and ready SLR shoulder bag was designed to keep pace with your approach to photography. Rugged styling with a professional grade interior and organization will take you anywhere the shots are waiting. 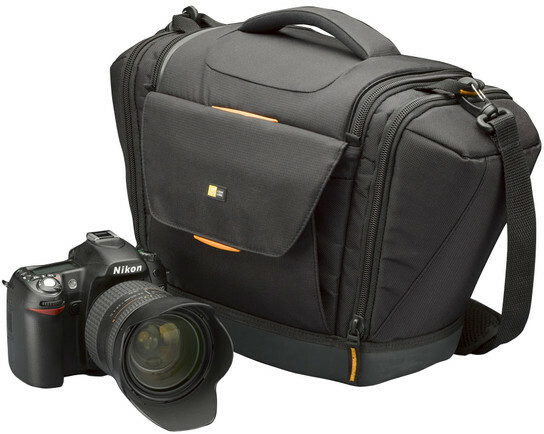 This is an excellent bag for a mirror lists 4/3 camera and tripod. My only observation is that the zippers close towards where the tripod is which is nearly impossible to operate if the tripod is attached. So every time I enter a sidepocket I must remove the tripod. This is awkward. I solved it by putting a 6 inch extension lanyard onto the end of the zipper said that I could just pass it through close it and then check the extension up behind the tripod. It works perfectly. But they should've had the zipper reversed. 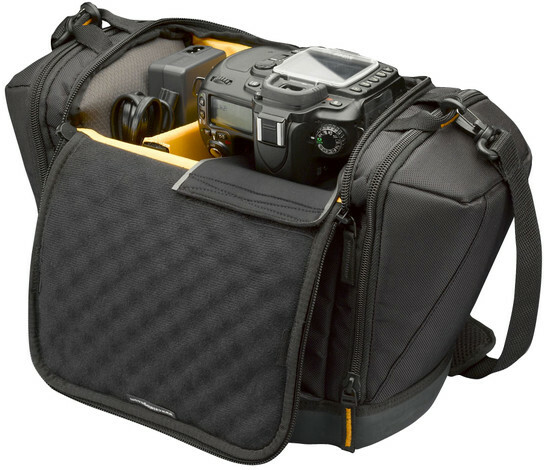 A very nice camera bag. Although slightly too small for some lenses (I'm forced to leave my zoom lens on my camera when putting it in the bag) it fits the smaller prime lenses with no issues. Plenty of storage for other odds and ends such as spare batteries and charger. The plastic base gives it plenty of stability and keeps water or dirt from covering the bottom (or getting in through the bottom). Overall very pleased with my purchase. Like some of the other reviewers I wish the side pockets were a little larger. It's a tight fit to get more than one additional lens in along with other necessary items. The camera fits great even with zoom lens and padding offers great protection. As always service and delivery were perfect. I wish it was a little bigger. I use it for medium format Pentax 645D camera. The side pockets could be bigger to hold medium format lenses. Overall it is very good. It could also have a little more space for misc gear. this bag is great bag. I love the way you can put in the SLR with the zoom lens. Very nice! Like the way it cradles and protects my camera without removing the lens. Plenty of storage. 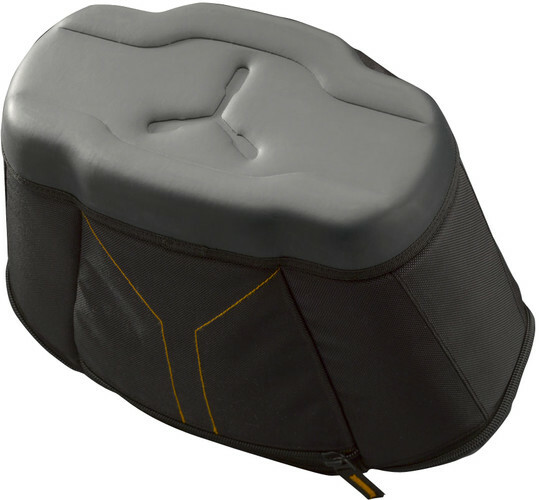 IT IS AN EXCELLENT PRODUCT, VERY WELL MADE.I WOULD OFFER THE SUGGESTION THAT THE TWO SIDE POCKETS BE MADE A LITTLE ROOMIER, AS PUTTING AN EXTRA LENS IN THEM IS A TIGHT SQUEEZE EVEN FOR A COMPACT ZOOM LENS. Quality is good for the price. 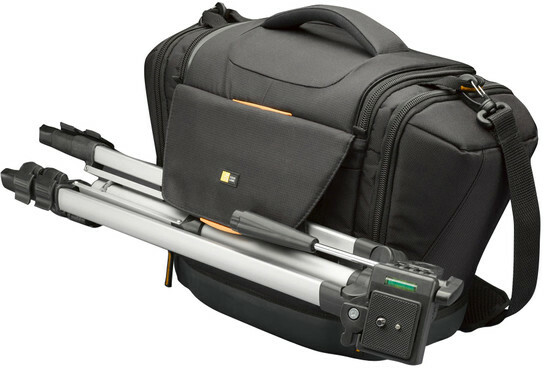 Considering this is the large camera bag, I think that it is a little small for extras such as extra lenses, flash, etc. I like the way my DSLR camera fits into the bag with the larger zoom lense or regular lense. Overall, good quality for the price. My only objection is size for extras.